Have access to the content of your child’s messages. Gain key insight into who your child is talking to. Ensure that all your child’s photos are images to be proud of! Know what your child is exploring, and when. See who your child is talking to, and what they talk about. 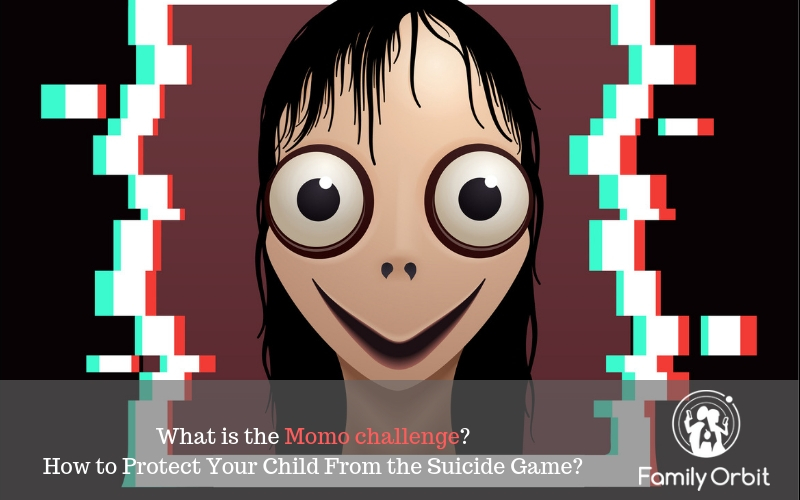 Monitor who you allow into your child’s life. Lock your child’s phone from wherever you are! Agree upon how much phone time is enough phone time. Create fixed boundaries around the amount of screen time your child is allowed. Ensure that no devices interfere with your child’s rest. 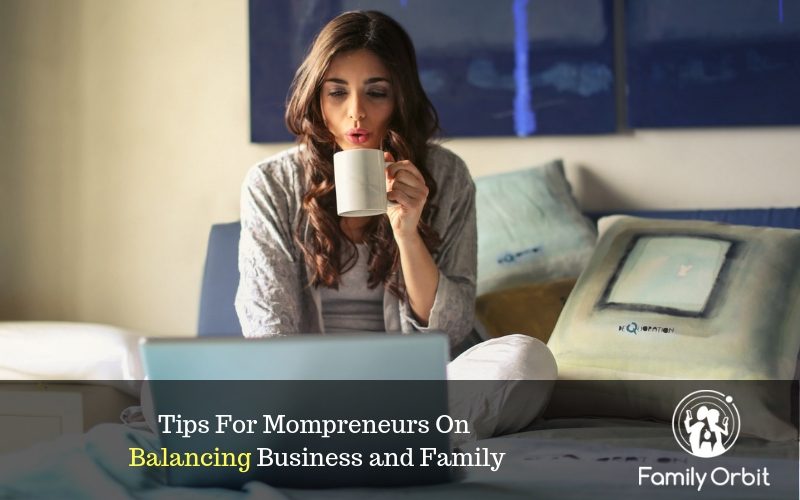 You no longer need to set a place at the table for a distracting device! Help your children focus, both in and outside the classroom. Access information about where your child has been and when. Find out if your child steps outside a geographical safety zone. 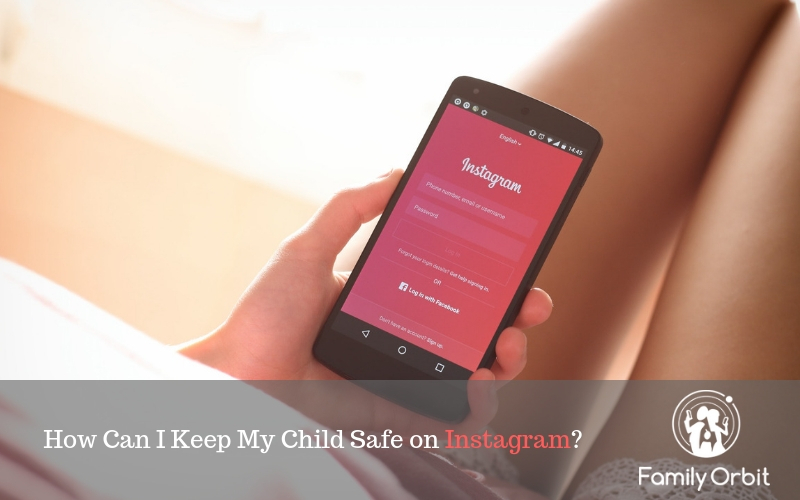 Get notifications from your child informing you of their safety. Know when your child needs you, for a pick up or emergency. Know when your child has gone over the speed limit! Have the power to decide what apps are best for your child. Set limitations of where your child is allowed to wonder digitally. Set parental control to the amount of time your child is locked into their screen. Be alerted when your child searches specific topics. 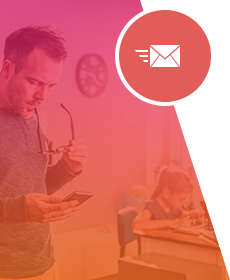 Receive reports on your child’s digital activities right to your inbox. You no longer have to keep a roster of chores on the fridge! Compatible with iPhone, iPad, iPod Touch, Android Phones and Tablets. You Gain Peace of Mind. Understanding what your child is doing online is vital for their health and safety. Our parental control app enables you to set limits on what they can access and provides you with information regarding the resources they use every day. By making certain your children are doing the right thing you’re able to ensure that they have the best opportunity to learn and grow as they approach adulthood. A cell phone, when properly monitored, is a tool that can vastly increase independence for youth. 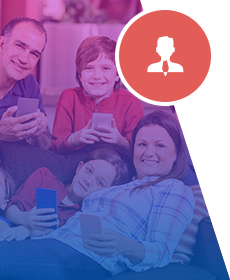 The parental control app gives you the safety and peace of mind to run your lives and household. Technology puts you in control, rather than being controlled by it! 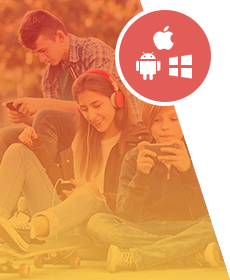 Install Family Orbit app on your child's devices. Monitor all devices from the web-based parent's dashboard. Why should I choose Family Orbit to Protect my kids? No need to sign up for multiple accounts. With Family Orbit, you sign up once for your whole family, and pay once for the use of parental control on multiple devices! Whether you are iPhone or Android users, you will be able to connect through Family Orbit. 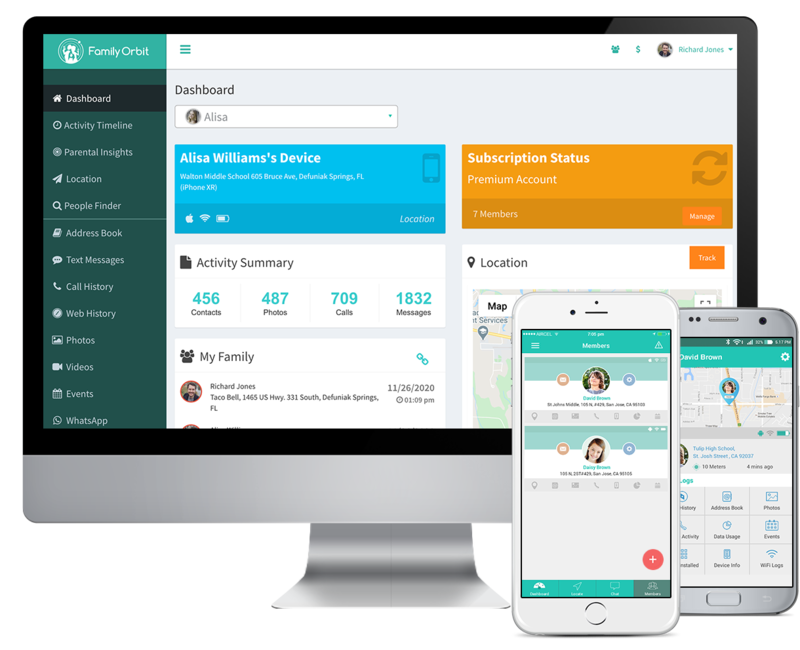 Family Orbit provides parental control solutions to both iOS and Android platforms. No expensive hardware costs! You already have the device you need! You will always know immediately where your children are, and if they are in trouble. Information from them to you, and you to them, will flow quickly and freely. With just the ding of a phone, you can help ensure their safety. Your use of Family Orbit is just between you and your family. The information you send and receive through the app, stays within the walls of your digital home! You also don’t have the hassle of putting Jailbreak for iPhone monitoring, something that can be a huge obstacle to effective digital monitoring. I have to thank you for your great help. It's rare that I find companies with such great response time and efficiency. I really appreciate your work and patience with me solving all of these issues.